The sun is bright and beaming down on the curving Mississippi River and nearby woodlands. The high L’Auberge Casino Hotel balcony overlooks it all, and Baton Rouge, with its cloudy blue sky, has never looked more beautiful. 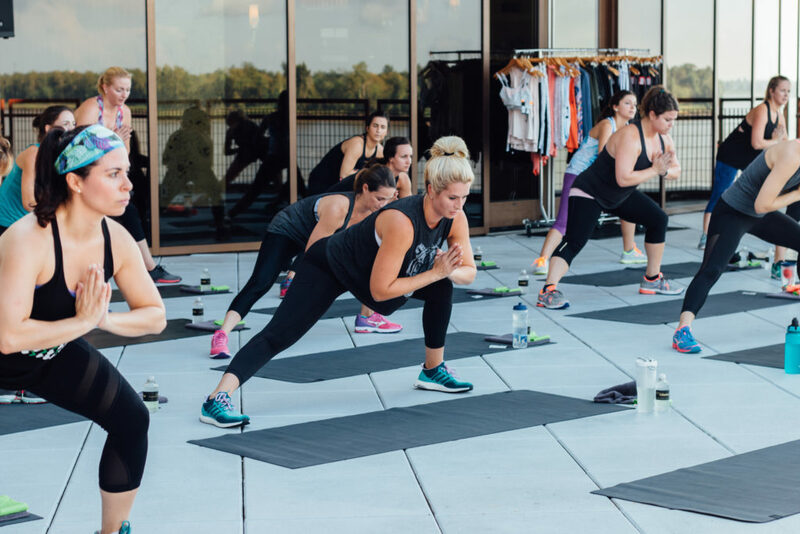 It’s a perfect morning, especially for what TreadBR is about to do—their signature pop-up workout and brunch, Tread to Table. TreadBR founder Nicole Williamson leads the pop-up workout. 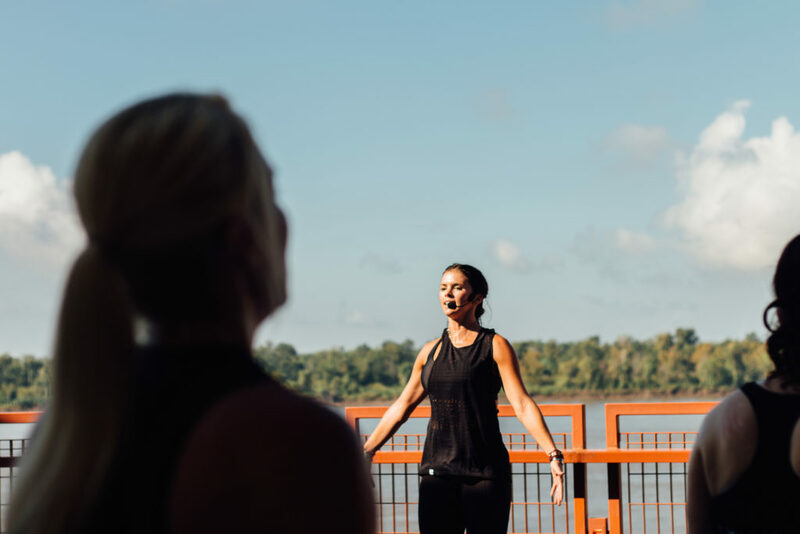 With Tread to Table, the boutique fitness studio moves into unique, intimate spaces to workout, followed by a curated healthy brunch from Magpie co-owner Lina Jacobs. 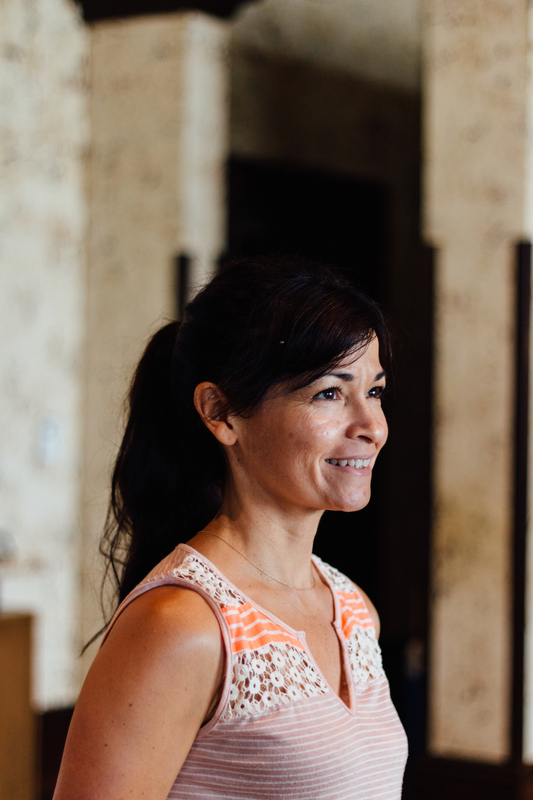 Previous locations for the pop-up have been The Parlor in Beauregard Town and Northside Motor Exchange in Mid City, the Martine Chaisson Gallery in New Orleans, and a private home in Monroe. These pop-ups have become a huge hit for the studio and during the workout, it’s easy to see why. Listening to a range of tunes from Florence + the Machine to Stevie Knicks, Williamson leads the group spiritually and with words of encouragement. It’s the rare fitness class where people are sweating and working hard, but smiling through it, thanks to Williamson’s instruction. For the brunch, Williamson says she and Jacobs coordinate to have food that’s protein-based to help repair their muscles, but also adequately feed the hungry class. 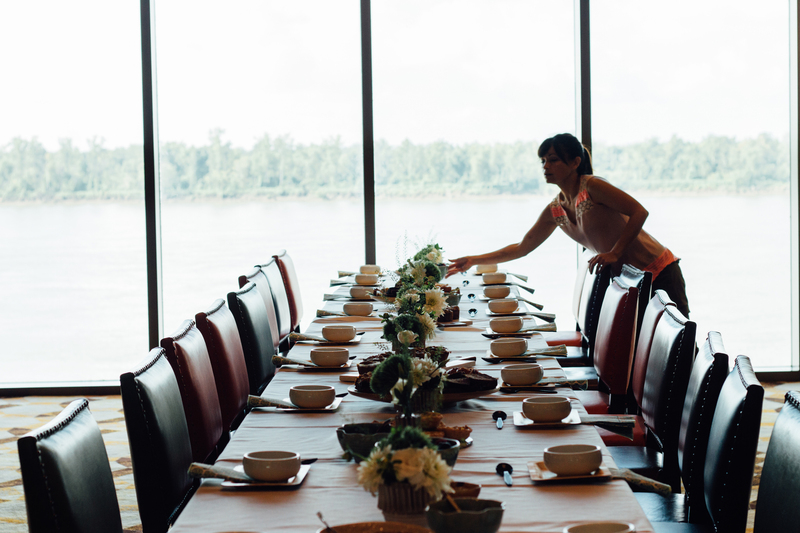 Lina Jacobs preps the dining area with a view of the Mississippi River. Jacobs talks about the protein-based menu she prepared for the pop-up workout. Participants get their brunch fix after the workout. 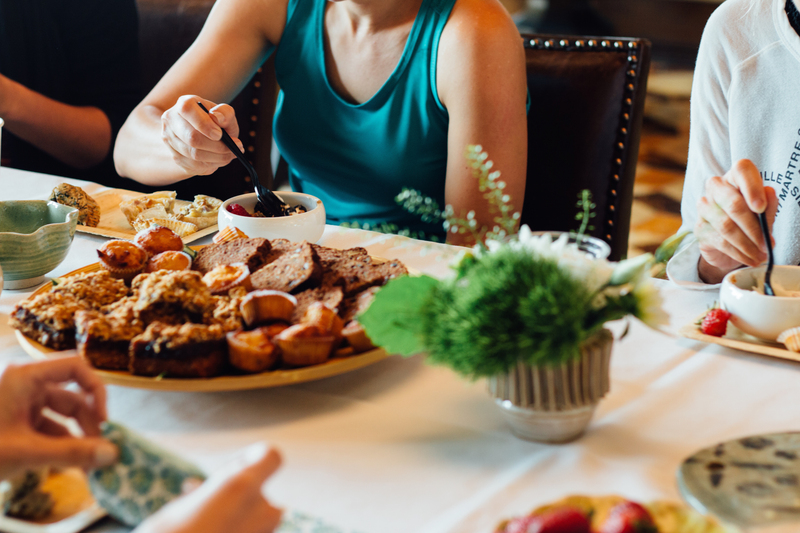 For this event, Jacobs served up some dairy-free and gluten-free paleo frittatas, made of kale and sausage, paleo zucchini walnut bread, paleo peach and almond muffins and homemade granola bars. For people who aren’t paleo-specific, there were quiche lorraine’s, a custard of egg, ham and cheese, and Greek yogurt and coconut yogurt, fresh berries, granola, honey and hempseed for guests to make their own fruit parfaits. The beverages were water and green juice, consisting of kale, spinach, celery, parsley and lemon juice. The gorgeous Magpie brunch was a big highlight of Tread to Table. The delicious coconut yogurt, which you could smell from a mile away, was a sure-fire hit. For the next Tread to Table events, the studio is planning to move into Shreveport, Lafayette, and Jackson, Mississippi, in the next few months. Keep up with TreadBR’s pop-ups and other events here.